Kolozsvár/Cluj-Napoca became the capital of European startups as the city hosted the Startup Europe Summit in 21-22 March, in the context of the presidency of the Council of the European Union. The event organized by the European Commission is one of the most important innovative technological platforms, offering the possibility for the main actors in entrepreneurship and technological innovation in Central and Eastern Europe to meet with the key actors in the Western European innovation ecosystems. The theme of this year’s edition was “Digital Single Market”. The summit was opened by the Romanian Minister of Communications and Information Society, Alexandru Petrescu, and Emil Boc, the Mayor of Kolozsvár. The mayor underlined that Kolozsvár is already trying to implement modern technological solutions in different domains, already invested in artificial intelligence, which makes it the perfect location for such an event. Alexandru Petrescu said that technology and the popularization of investments were a priority on the agenda of the Romanian presidency of the Council of the European Union, in order to reduce the gap between the EU and other global players. 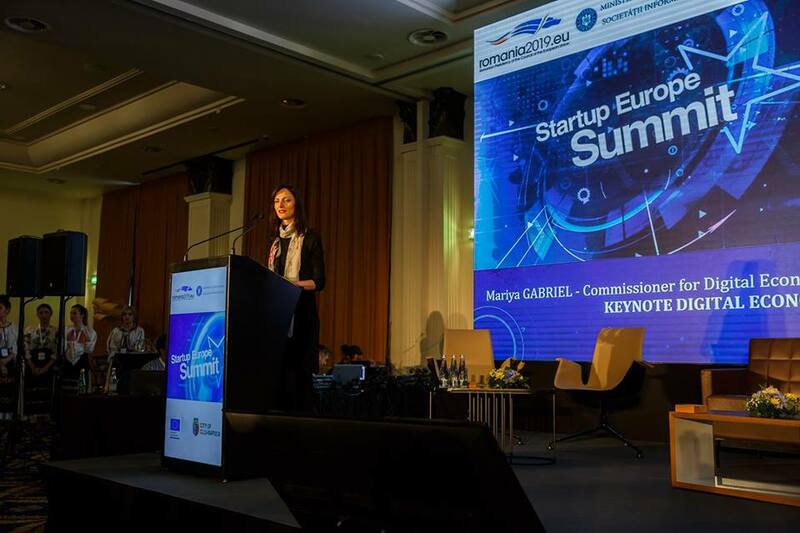 The keynote speaker of the summit was Mariya Gabriel, European commissioner for Digital Economy and Society. In her presentation the Commissioner underlined that the EU haven’t invested enough in innovation and technologies, compared to the USA or China. „I proposed the first European digital program, with a 9 billion Euro allocation, called ‘Digital Europe’. Major investments in computers, artificial intelligence, cyber security, digital innovation hubs will be carried out. It’s not just about research and development, it’s about creating local capabilities at the digital and technology level, at the level of services and business in society, with the support of a digital hub network. I take this opportunity to thank the European Presidency for their involvement in this project and the fact that they have made the digital economy a reality”, the European Commissioner said. During the event a lot of local and international entrepreneurs, politicians, representatives of the academic sphere presented their organizations and ideas. 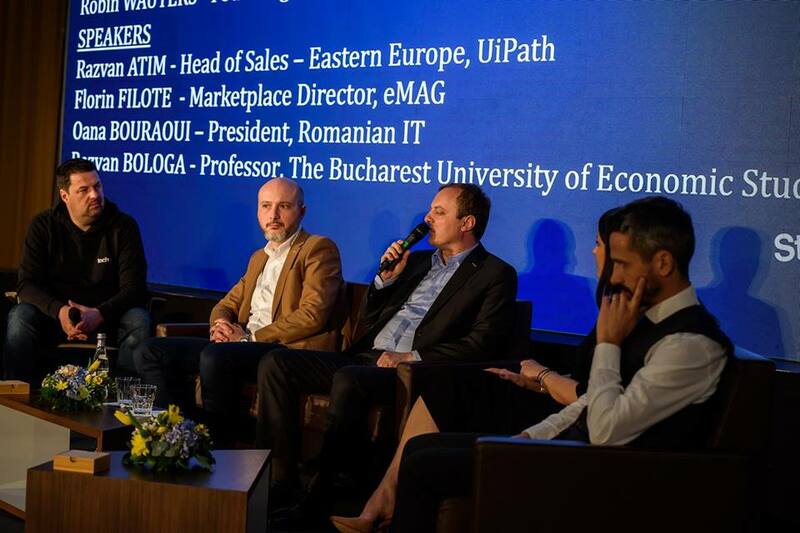 During the first day of the summit Romanian entrepreneurs – Răzvan Atim from UiPath, Florin Filote from eMAG, Oana Bouraoui from Romanian IT and Răzvan Bologa from The Bucharest University of Economic Studies – discussed why Romania should stop to outsource its technological needs and become an innovation center. According to the participants of the panel, Romania has got a potential to become an innovation center, but it needs to change many things in order to achieve that, like mindset change and altering the government’s approach to innovation. They agreed that the Romanian innovative technological talent and resources should be focused on making local products, and not on outsourcing. On the second day of the summit Martin Villig, the co-founder of Bolt (formerly Taxify) and Alexandru Iliescu, the CEO and co-founder of Mondly illustrated how an idea can became a global company. The Mondly is a Romanian language learning app, developed in Brassó/Brasov uploaded by several millions of people. The CEO of the app showed the participant how education and technological innovation can merge, how Mondly uses Virtual Reality, Augmented Reality and chatbots in the teaching process. Following the Bolt and Mondly presentation, several mayors from Eastern Europe presented how their cities became smart cities, and discussed how would they benefit from, what values could they add to the StartupCity Europe Partnership. This partnership is for smaller, but very talented European cities, its goal is to build a strong ecosystem across Europe. Emil Boc, the mayor of Kolozsvár, Róbert Kristóf city manager of Temesvár/Timișoara, Ivan Portnih, mayor of Varna), Gian Andrea Paolo Garancini, deputy-mayor of Heraklion, Alexandru Ambros, mayor of Ungheni City agreed that networking is very important nowadays, and this partnership can benefit all its members. Gian Andrea Paolo Garancini, deputy-mayor of Heraklion underlined that each member of the partnership should specialize in specific domains, like his city specialized on tourism and agroculture. During the summit StartUp Europe Awards were also presented. StartUp Europe Awards is an open innovation methodology that encourages collaboration between the public sector and businesses in the promotion of innovative initiatives. Its aim is to help create alliances that allow entities and support programs for entrepreneurs to be added to local partners and to be a communication tool for society. The most outstanding startups from the EU and neighboring countries have been chosen out of 70 applicants through an open call for a special edition focused on social impact. 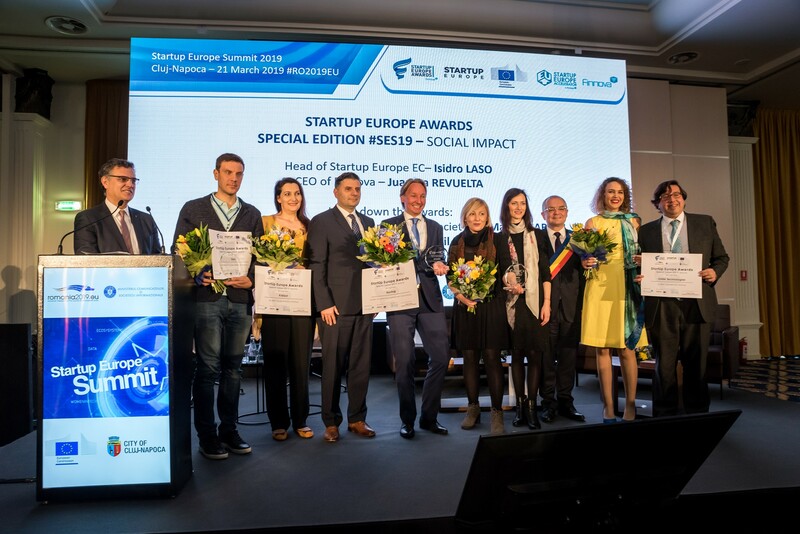 The honored startups are: OKRA Technologies (Female-led startup) from UK; Bolt (Founder under 30 startup) from Estonia; NorthQ (UN Sustainable Development Goals startup) from Denmark; Kidibot (Social inclusion startup) from Romania; and Mama Organa (Job growth startup) from North Macedonia.